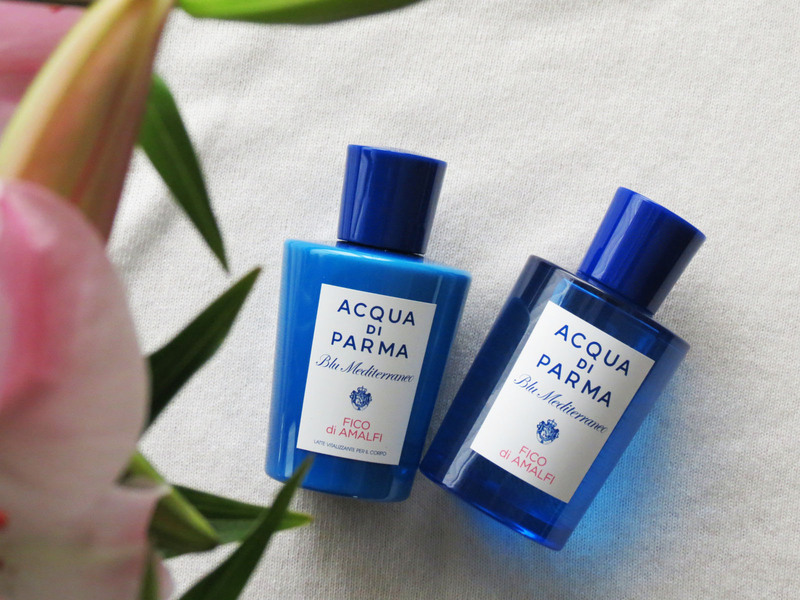 Trifecta’s are for skincare routines, beauty talks with friends and Acqua Di Parma fragrances. 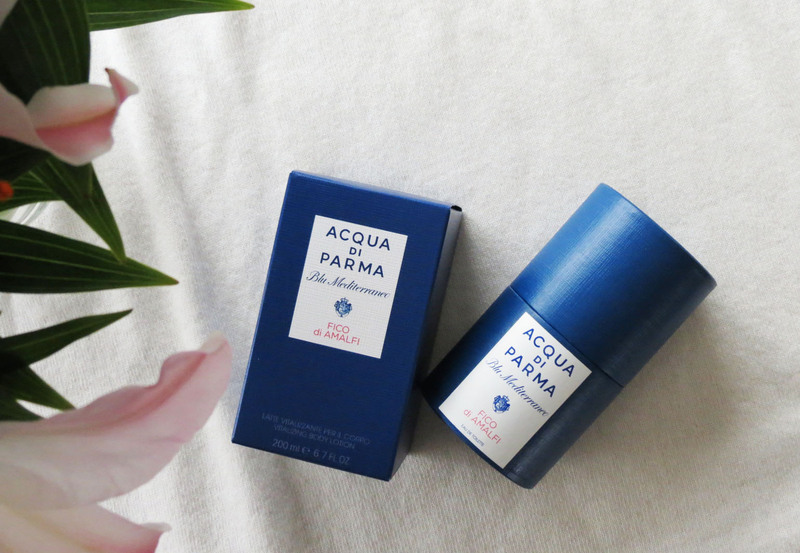 Colonia Ambra and Rosa Nobile have tempted me before, but no perfume (of any brand for that matter) has enchanted me as much as my all-time favourite, Acqua di Parma Blu Mediterraneo – Fico di Amalfi. A strong claim, I know, but hear me out. I first sniffed this fragrance at Parfuma over 5 years ago, and have been religiously loving it ever since. Yes, from to time I stray, so much to try, so much to discover, but like the faithful fan I am, I always return to my one (but not always only) fig fascination. Figs have always been an obsession of mine. The deep reds and purples of the ripe, lush fruit, their softness and form, a taste so elegant it caresses your taste buds, and the scent, oh the scent. 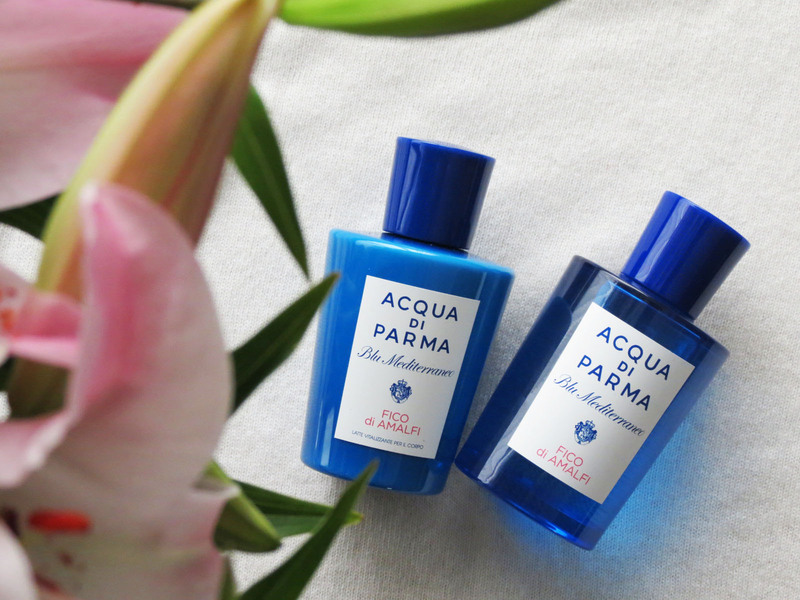 Diptiqye Phylosykos and Hermès Un Jardin en Méditerranée might be the more well known fig scents, but when I’m writing, it’s Fico Di Amalfi that get’s a love letter! 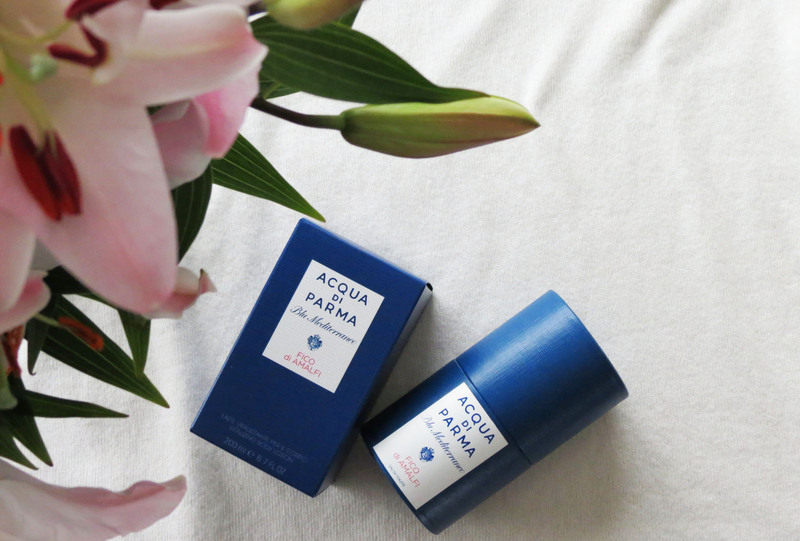 Like a breezy afternoon on the Amalfi coast, with the wind carrying hints of orange and citrus plantations more inland, the scent opens vibrantly with fresh and sweet notes of bergamot, luminous lemon and lemon, a touch of bitter grapefruit and mandarin wood. In the heart of the fragrance, the fig takes over, supported by pink peppercorn and jasmine petals, before giving way to a base full of fig milk, cedar and benzoin. After that first burst of fruitiness, it dries up into a lingering haze of a creamy, green goodness, with a slight woody undertone. Summer and winter, a comfy day in or a ladies night on the town, a light touch for only yourself to smell or a few spritzes to catch someone else’s attention, there isn’t a situation this perfume isn’t appropriate for. It’s warmed up my skin and spirit on colder days, it has enhanced my mood on hot summer nights, and it has been with me through thick and thin. Fico di Amalfi, te amo!